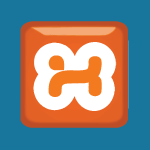 You guys asked me to create an updated tutorial on how to install XAMPP, so here it is. I wanted to cover everything though, so I show how to install XAMPP. I also cover how to fix all of the common errors. I show how to setup Administrator accounts on Windows 10 and then allow them to run apps, which is normally restricted. Then using phpMyAdmin we create user accounts and a database. To round out the tutorial I then create PHP / MySQL configuration files and PHP scripts that are used to query and update the database. All of the code used among other things, follows the video below. To use Microsoft Edge as the Administrator you have to change a few registry registry keys. OR die('Could not connect to MySQL: ' . $row['first_name'] . '</td><td align="left">' .